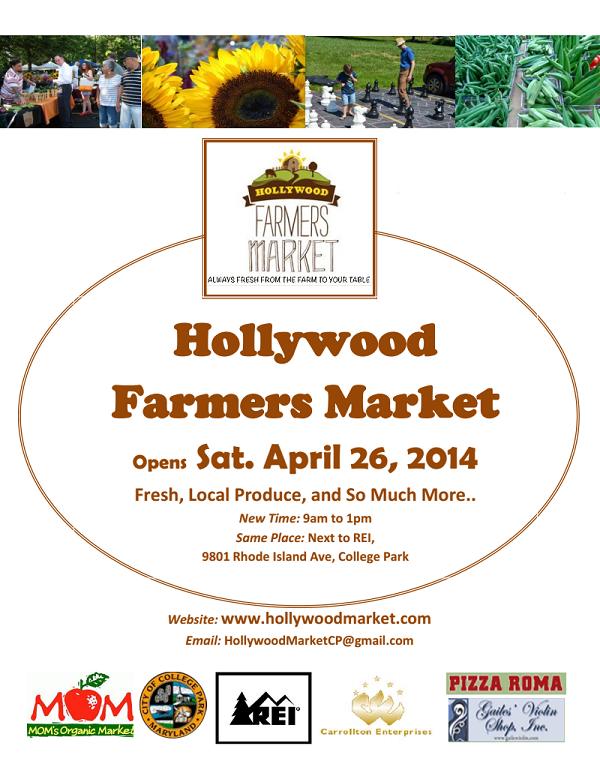 The 2014 Season of the Hollywood Farmers Market will open Saturday, April 26th. The resident-driven market committee has worked very hard to make this season even better than last year. Please note the new market time – 9am to 1pm.